High-quality staff members facilitate student experiences that enrich both our school district and the entire Warrior community. 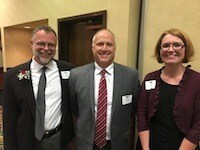 GHS teachers Greg Miller and Kristen Keish have participated and incorporate the Cincinnati Enhanced Engineering, Mathematics, and Science Program in their classrooms. AP Instructors Ron Edwards, Beth Deuer, Hillary Gatio and Jen Rammel working with The College Board grade Advanced Placement Exams. GHS student Caroline Clifton one of just 25 students in the nation to be named to the Smithsonian’s Youth Council in Washington D.C.
For the 2nd consecutive year, 15 seventh grade students participated in the SWOhio Middle Level Student Leadership summit at Camp Kearn. Jake Ohnmeis named a Cincinnati Magazine Outstanding Educator for 2018. SES Math teachers Emily Strausbaugh and Crystal Dozier named TenMarks Fellows. 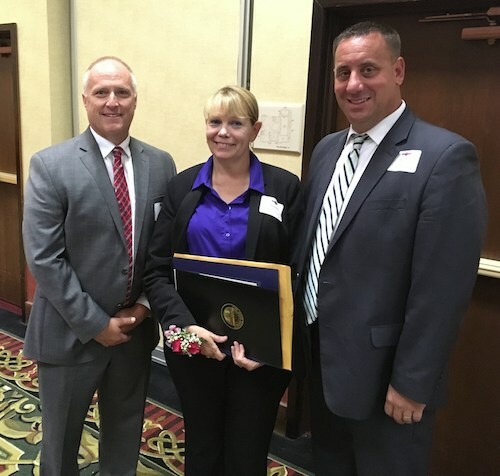 Clermont Chamber of Commerce awarded Goshen Local Schools administrator Sheli D'Orazio the 2017 Educator of the Year. Goshen High School Juniors participated in LEAD Ready, a program designed to provide students the opportunity to grow in their awareness of leadership, recognize their own leadership strengths, and to get them to take their experience as leaders back to their own organizations, teams, classes and families. Students completing the LEAD Ready program return to us as members of the GHS Student Leadership Board. Instructor Kevin Easley recognized as Career Prep Educator of the Year by the Clermont County Chamber of Commerce. Summer Servant Leadership Experience at Stepping Stones Camp for children with developmental disabilities. Coach Ryan George named Cincinnati Enquirer 2017 Division III Coach of the Year. Goshen High School Robotics Club showcased at the 2018 OSBA Capitol Conference in Columbus. Goshen High School Counselor Kerri Mantz is chairman of the CCCA College Fair hosting over 100 participating colleges. Goshen Middle School Bike Club showcased at the 2018 OSBA Capitol Conference in Columbus. GMS Maker Space program recognized by Southwest OSBA as an outstanding student program.